This deluxe Scrabble edition allows you to enjoy America’s Favorite Word Game in style! This set features a solid wood cabinet with mahogany finish and built-in lazy susan. The top of the cabinet features a deluxe foil-stamped Scrabble gameboard with raised grid to keep the Scrabble tiles in place when turning the cabinet. Lift the top off of the wood cabinet and you will find individual storage compartments for all of the premium game components. The Scrabble tiles and tile racks are solid wood with a mahogany finish to match the cabinet. These Scrabble tiles are stored in an embroidered fabric pouch with drawstring. The set also includes a hard cover foil-stamped scorebook with a pencil to record the results of your epic word battles. The set is completed by a sand timer with gold toned end caps for optional timing. 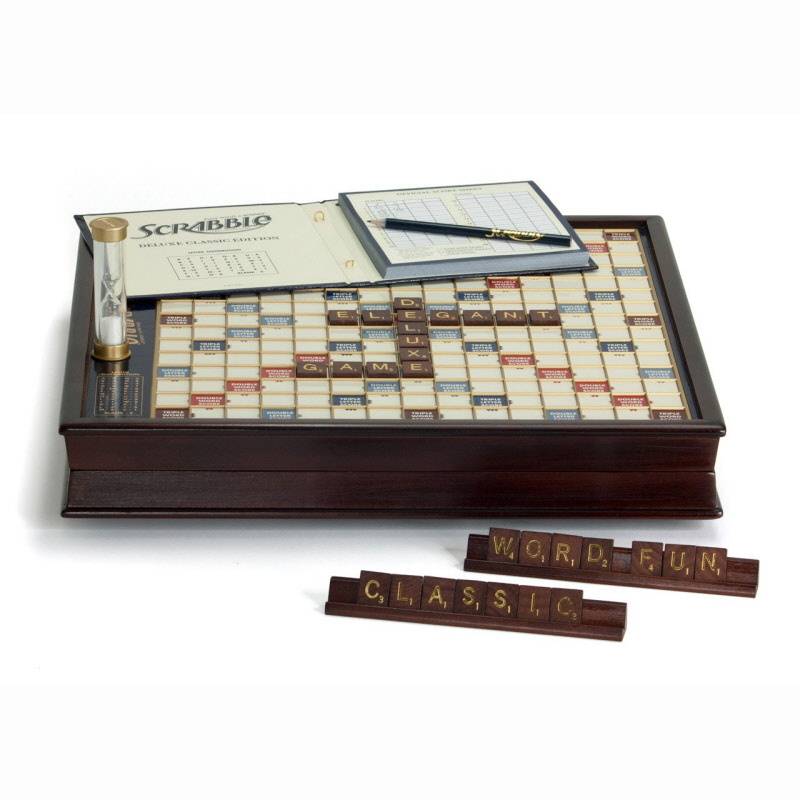 This deluxe Scrabble set is sure to make a statement whether you are enjoying a challenging round of Scrabble or simply admiring this beautiful set as it sits on your coffee table.